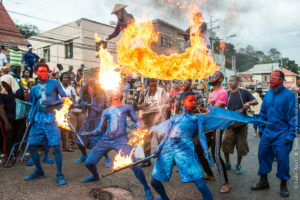 Above, Jeron Pierre and Stefano Orlando Marcano, spitting fire with Paramin Blue Devils. 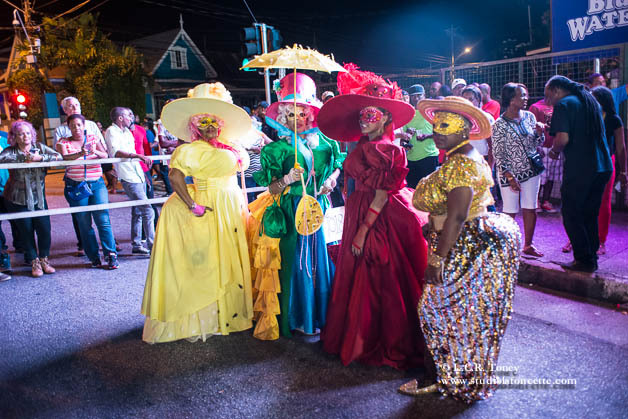 Welcome to Blogging de Carnival 2018! Happy carnival and happy Black History Month everyone! 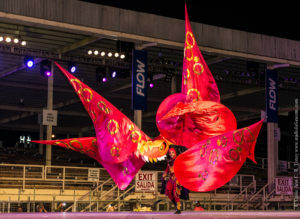 Above, mas veteran June Sankar, her daughter, granddaughter, Nathaniel Charleau and a friend playing Dame Lorraine for the traditional mas competition at Victoria Square, Port of Spain. Before I go any further let’s pay our respects. I give thanks to my ancestors – survivors, nurturers, creators, shade tree providers who gave me life, gave me inspiration, nurtured me and prayed me to where I am today. 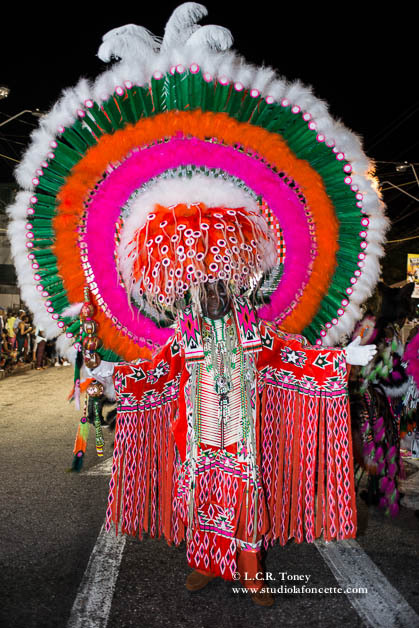 My maternal grandfather was a mas man who played the kind of mas that included long velvet capes and copper breast plates. As a teenager he took me to the home of Ken Morris, legendary copper master who fabricated pieces for carnival. My uncle’s life was dedicated to music that celebrated kaiso artists among others in the tradition of jazz. My stepdad, though not a mas native, facilitated my creative pursuits by carting me around where I needed to go when shooting mas or making it in DC. 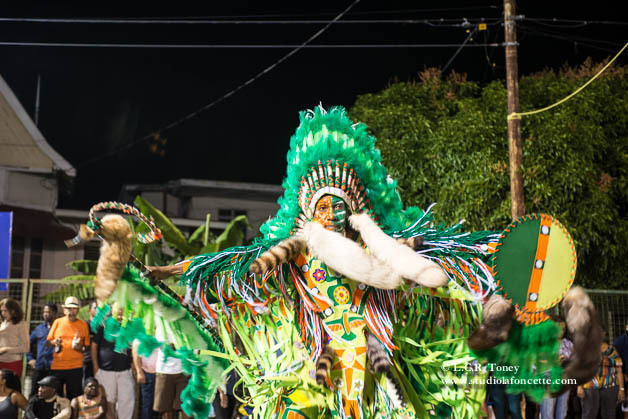 Carnival is a celebration but it is grounded in remembrance of our ancestors, so in a sense it is also a wake. We sing praises for surviving and remember those who are gone. So give thanks. Ase! And by the way, yes, Black History Month in February is a United States tradition. It occurs in Europe in October. But we in the Diaspora are One Family. So we shall celebrate us as often as possible. I started this Blog series 8 years ago (yes! This is the 8th iteration of BdC!) while living in the Washington DC Metropolitan Area because often I’d ask people, especially youth, what they knew about carnival. They would know it was their heritage, they knew it was a celebration, but the mystery, the power, the resistance, the clear, intentional, direct links to our African ancestral practices and culture they rarely knew. 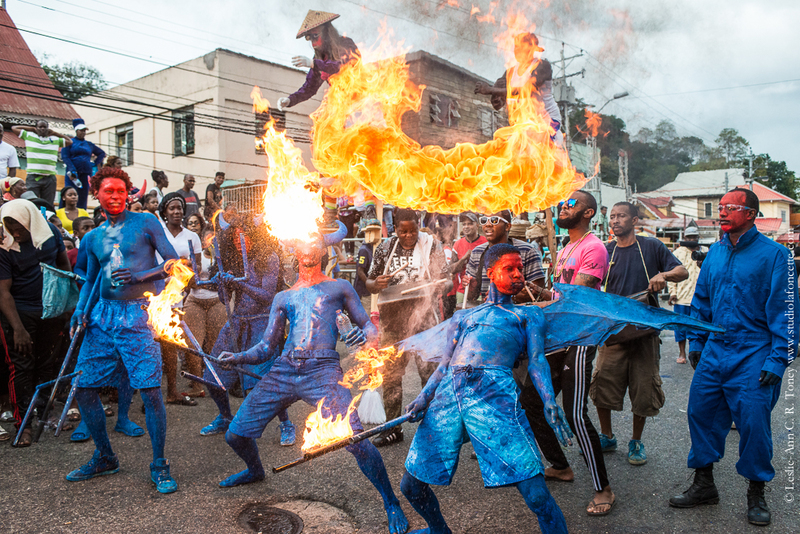 This pained me a bit because our carnival is powerful, it is magical. It is a living story to how oppressed people survive, adapt, syncretise, merge with new groups and make beautiful things that keep us connected to Africa. 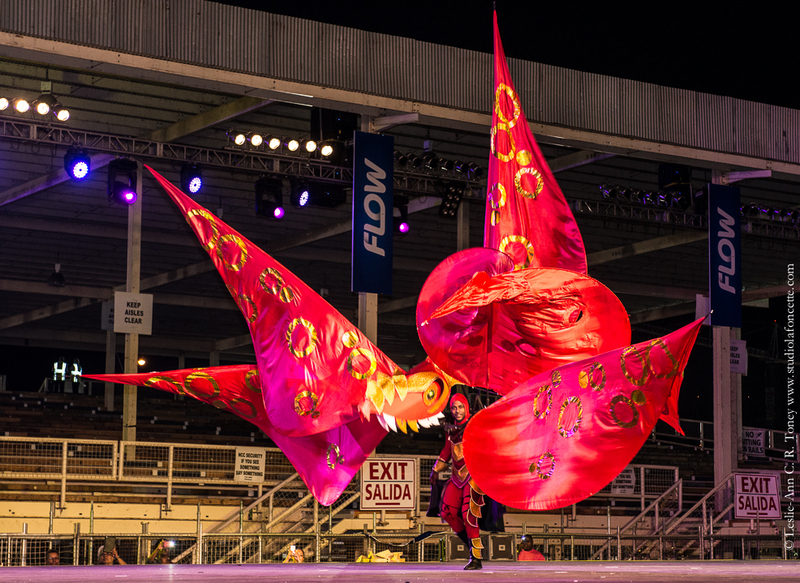 In this series I want to keep you updated on some of the magic that happens around Trinidad Carnival. I want to showcase some of the amazing artists I know and the excellence and magic of my people. I would like to hear from you all about how you fete, lime and celebrate our carnival. Please follow me here on Instagram, and my Facebook page and subscribe to my blog!